Living a Fit and Full Life: Save 15% at Target on Select Cookware from T-fal in Celebration of Pancake Day! 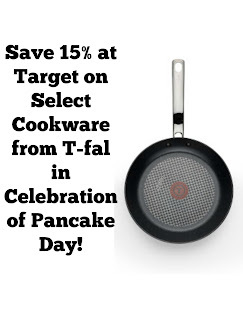 Save 15% at Target on Select Cookware from T-fal in Celebration of Pancake Day! 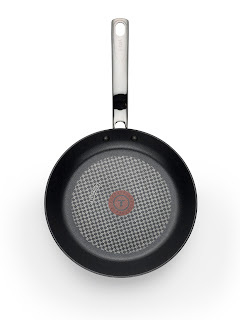 In celebration of Pancake Day (February 28th), select open stock cookware from T-fal will be on sale at Target. Both in store and online, enjoy a 15% discount all week long starting on Monday, February 27th. 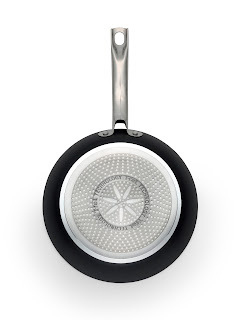 T-fal Non-Stick cookware features T-fal's patented Thermo-SpotTM technology that indicates when the pan is perfectly preheated to seal in flavor and prevent burning. Not to mention, T-fal is the inventor of non-stick and their durable easy-release interiors are perfect for making pancakes! Click HERE to find a Target store near you! Click HERE to learn more about T-fal! Follow T-fal on social media!